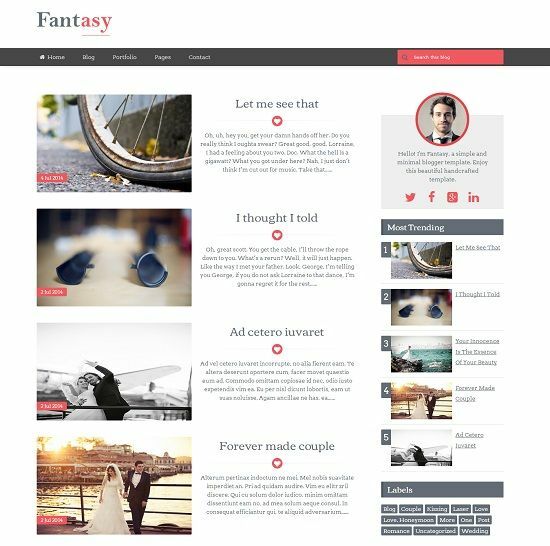 Fantasy is a responsive and minimal blogger template. It is nicely crafted with latest web technologies and comes with many features. With the attractive post thumbnail, the content area and typography, the user will stick to your website for more time. Fantasy is an ideal choice for photography, fashion and personal blogs.